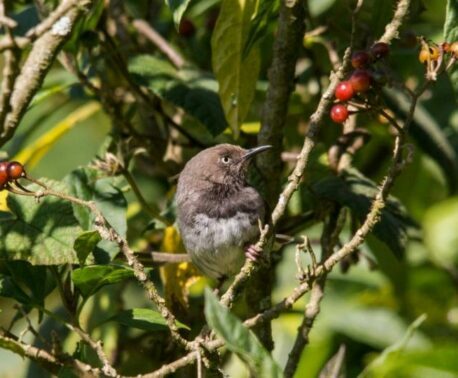 World Land Trust (WLT) announced its first land purchase in Africa last year, now guest blogger Ms Joan Gichuki from Nature Kenya tells WLT about the launch of the reserve in Kenya and the African Regional Committee meeting of Birdlife, which was held at Kinangop. 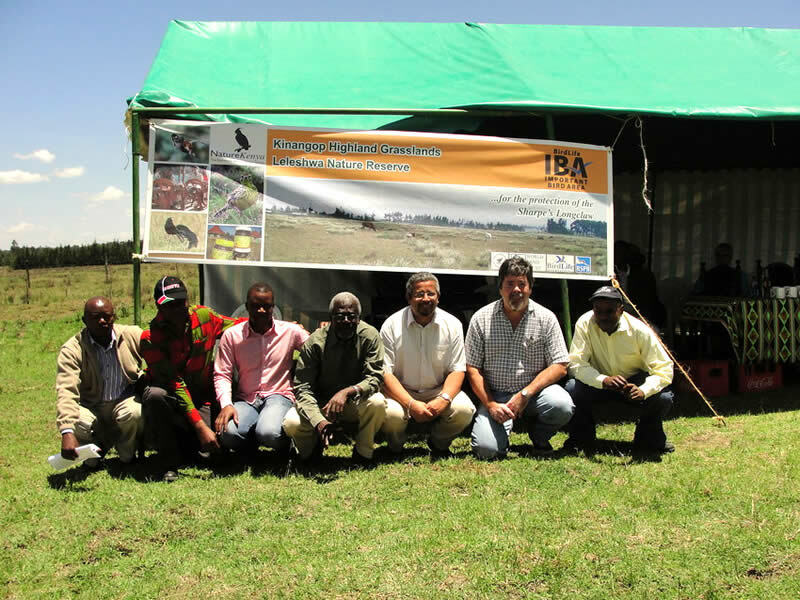 “The launch of the Kinangop Leleshwa reserve coincided with the Africa Regional Committee of Birdlife held on 2ndApril 2011 at the Kinangop Eco-Resource centre. Dignitaries and members from Birdlife partners attended the meeting and the launch. The Chairman of Birdlife Council for African Partnership, Mr. Mourad Amari launched the Kinangop Leleshwa Nature Reserve and thanked WLT for supporting the noble project. He also congratulated the Friends of Kinangop Plateau (FoKP) members for enhancing development in the area; building capacity of its members and promoting livelihoods and conservation of grassland species. He added that Kenya was a good example of how local communities can drive the conservation agenda with support from local Birdlife partner Nature Kenya, and appreciated the support received from WLT in purchasing the Reserve. 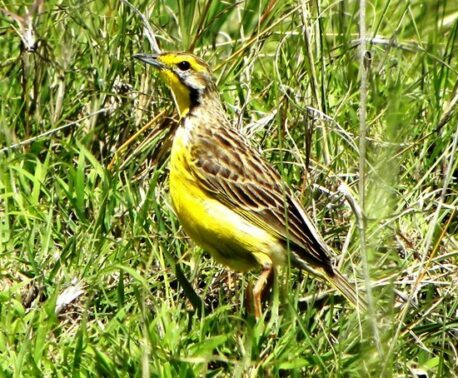 The launch of the Reserve also coincided with the birthday of the Chief Executive of WLT, Mr. John Burton and the launch of the reserve was a birthday present from Nature Kenya. The purchase of 51 acres of land through WLT’s funding in 2010 has brought a lot of joy to the local community. As I walked to the Community Eco Resource Centre, I could not help but notice the joy in their faces.The launch day was a big and special day to the locals. The indeed gigantic Aberdare Mountains to the south of the plateau seemed to be smiling and a whitish mist was rising above the vegetation on the slopes and a ray of sunlight passing through the dark clouds, it was a beautiful morning. Lake Naivasha was visible on the western side of the plateau and could be viewed within 100 metres from the Eco-resource Centre”. Joan retells the memories of Joakim Kiiru, one of the founder members of Friends of Kinangop Plateau and a committed conservationist, and explains how local communities are now involved in conserving their local biodiversity.